The drawtube has massive steel rails built into it as counter-bearings for the adjustable drive. a laser-cut plate made of stainless steel (V2A) instead of aluminium serves as counter-bearing for the Crayford rail. a lock screw with rotatable thrust piece prevents unwanted slippage, even with large loads. in all Steeltrack models, the contact points between drawtube and exterior housing all run steel-on-steel. 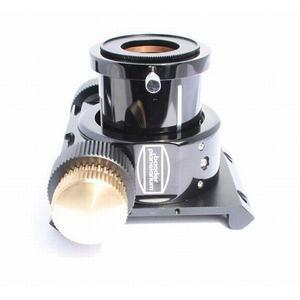 The result is a heavy-duty focuser, also suitable for heavy camera equipment. all steel parts and load transmission parts are designed for long-term use and for operation with motor drives. The entire focuser is much more robust than simpler Crayford focusers where, in time, the steel ball bearings wear down the softer aluminium. heavy-duty, professional quality 1/10 reduction ratio, made of V2A and hardened steel. the inner tube is equipped with anti-reflective baffles and high-quality blackening. all focusers come equipped with a 2" clamp. A built-in brass compression ring protects your eyepieces and accessories from scratches. especially important for CCD and DSLR photography: no more images with blurred corners - the bearing sleeve mounting has been so designed that the optical axis of the drawtube can be precisely adjusted when required. the reduction gearing has been prepared for use with a motor drive, by means of toothed belt, at a later date. The outer housing of all focusers has been equipped with a milled dovetail on the bottom of the rail for subsequent attachment of an optional motor mounting. OTA-side adapter plate suitable for nearly all Newtonian and Dobsonian telescopes, suitable for almost any OTA diameter. 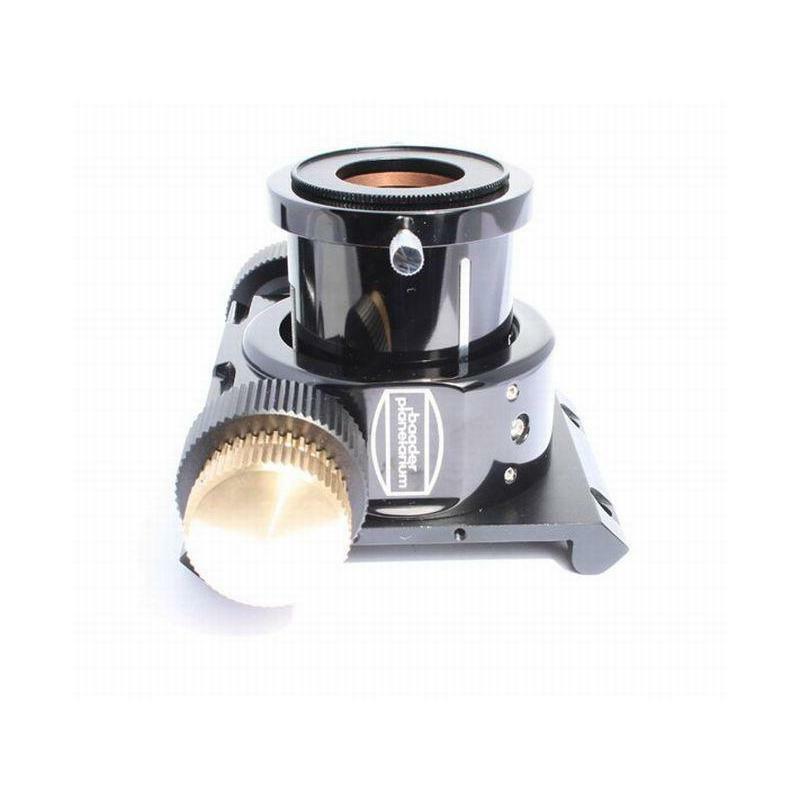 Eyepiece-side: 2" clamp with brass compression ring and milled groove, for the option of inserting a 2" to 1¼" reducer with side locking screw until it meets the stop in the inner tube. We especially recommend our new Pushfix 2"/ 1.25" reducer for this, with only 1mm of optical path and three separate mounting options for inserting 1¼" accessories.